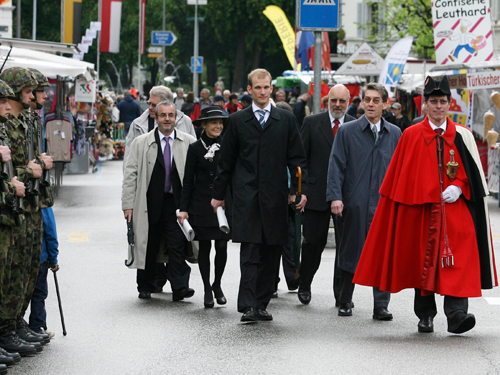 The morning of the landsgemeinde begins with a procession of canton officials to the Rathaus. 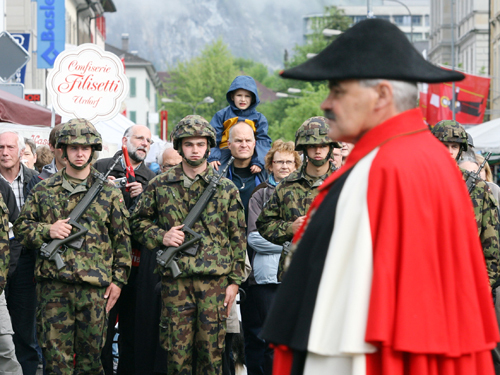 The procession route is lined by Swiss army troops. 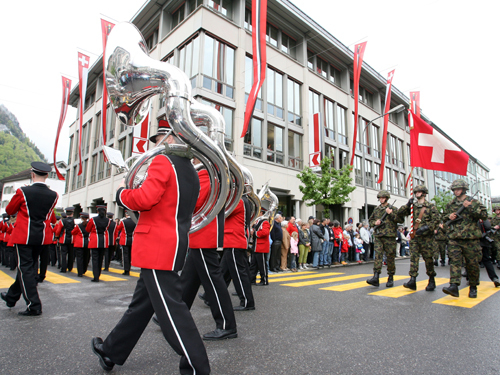 Once all the officials arrive at the Rathaus, a parade begins, led by the canton band, to the landsgemeindeplatz -- a large plaza at the center of Glarus city. 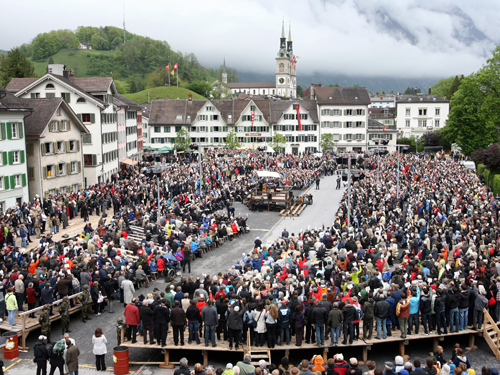 Between 5,000 and 9,000 citizens gather. This year, some of the most contentious votes banned non-citizen residents from voting and said small restaurants did not have to ban smoking. 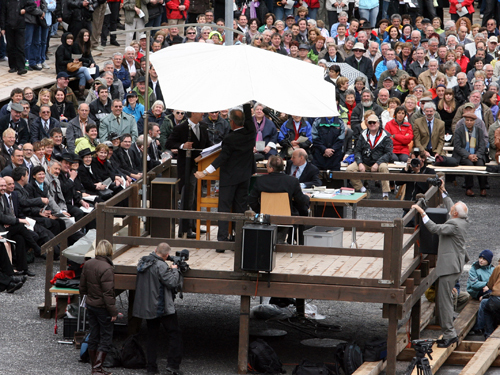 The landsgemeinde opened with a speech and the election of canton officials. 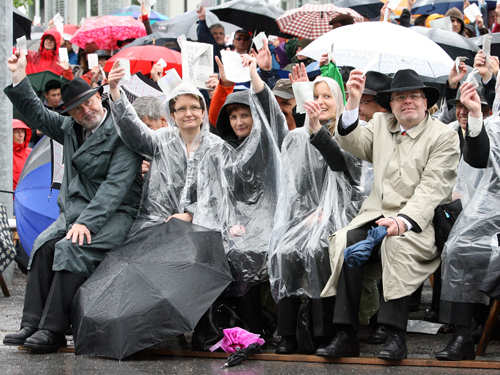 Citizens vote by raising specially colored pieces of paper that had been previously posted to their homes. This helps to both identify voters and make estimation of the counts (how votes are counted). 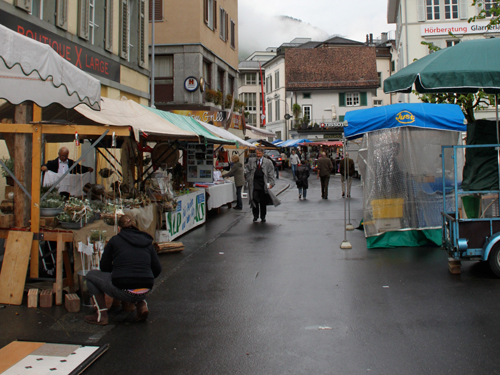 During the landsgemeinde, the entire town turns into a carnival, with street vendors lining the main thoroughfares.